Monero Price Prediction: What's the Future of Monero? Most of us didn’t even know that cryptocurrencies existed at the beginning of 2017. And those who did know, thought that it was all about Bitcoin and Ethereum. But as 2017 progressed, cryptocurrencies boomed more than anything ever seen before. The market capitalization of cryptocurrencies grew from $19 billion in January 2017 to $795 billion in January 2018. That’s a total growth of over 40000%! Many new cryptocurrencies became a part of this success story, Monero being one of them. Monero is the 11th largest cryptocurrency with a market capitalization of $3.35 billion. Monero performed extremely well in 2018 and many investors are wondering whether it will be repeated in 2019. Those of you who are also questioning the future of Monero have come to the right place. I will share the top Monero predictions 2019 and 2020 in this guide. I will also cover the basics of Monero and its historical price trends, so that you have a good understanding of what this cryptocurrency is capable of. By the end of this guide, you should have a good understanding about the Monero future. In addition to using this information, I also recommend that you consult a financial advisor before making any investment decisions. So, let’s cover a little bit about Monero before we get into its future. 5 So, is Monero a Good Investment? Monero is a digital currency built using blockchain technology. Like Bitcoin, Monero can also be used to send or receive payments. So, how is it different from Bitcoin and other cryptocurrencies? Monero wasn’t built using Bitcoin’s technology. Monero was founded in 2014, with a focus to improve on the lack of privacy in Bitcoin. When you send Bitcoin to someone, everyone can see who the sender and the receiver is, and how much the transaction is worth. 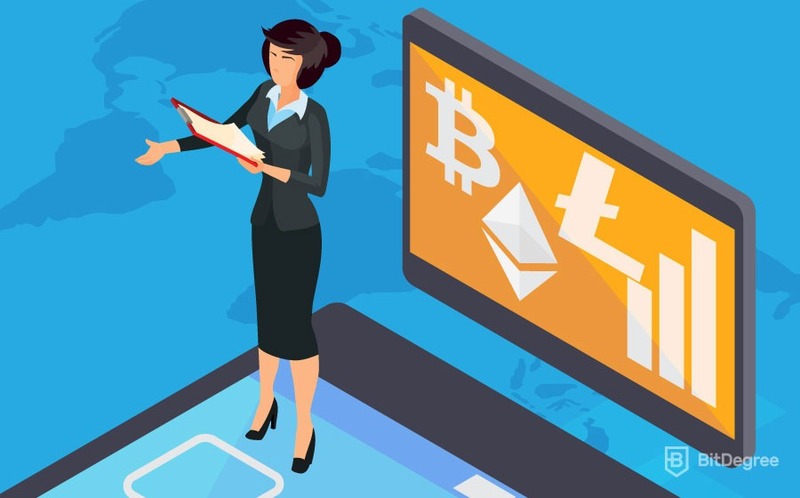 Outside users cannot see the names of the two users, however, everyone can see the public address of the user’s Bitcoin wallet. And in the world of Bitcoin, your public address is your identity. Not only that, but everyone can see all the previous transactions in which a particular Bitcoin was used. So, if a Bitcoin that you hold was used in illegal trade in the past, someone can refuse to accept it from you. This is different from how Monero transactions work. When a Monero transaction takes place, the identity of the sender and receiver remains private. Also, Monero transactions cannot be linked to each other. Every Monero transaction is private, unlinkable and untraceable, just like physical cash. If someone pays you using a $100 bill, do you have any idea of where it has been used before? Or who the past owners of the $100 bill were? No! This is what Monero brings to the cryptocurrency transactions — it offers you privacy. If you make a payment using Monero, no one can see what you’re spending your money on. Which has proven to be an attractive feature for some! Now, let’s see how Monero has performed historically since its birth. Monero did not see much action for almost 2 years after it was founded in 2014. It started to gain popularity around mid-2016 and 2017, which was the year it showed a great performance. Monero, which was around $12 in January 2017, reached a peak of $494 in January 2018. However, like all other cryptocurrencies, Monero’s prices have also declined since January 2018. Now, it’s important to understand what has led to increases and decreases in the price of Monero in the past. So let’s take a look at some, shall we? The first major price rise of Monero happened in the second half of 2016. The price of Monero, which was less than a dollar in the beginning of 2016, increased to about $14 in Sept 2016. Which is an increase of almost 2700%! Many believe that this was caused by the rising popularity of Monero in the illegal trade market. This is because of the identity and transaction privacy offered by Monero. In August 2016, the darknet market site Alphabay started accepting Monero as an alternative to Bitcoin. In August 2017, the price of Monero saw another spike (went up) even though the price of Bitcoin was going down. While it is difficult to be completely sure of a reason, it might have been due to an announcement from the Korea-based cryptocurrency exchange Bithumb. Bithumb opened the exchange to Monero trading in August 2017, which increased the accessibility of Monero for investors. Monero’s price went up again in December 2017 when their was news of Monero being accepted by a group of around 45 very well-known musicians. Those who started accepting Monero include G-Eazy, Mariah Carey, Backstreet Boys, Sia and Fall Out Boy. Pretty cool, huh? As you can see, there is a wide range of factors which can impact the price of Monero. These price of Monero (and most cryptocurrencies) usually relates to new technological developments and media hype. Now, predicting the price of Monero (or any other cryptocurrency) is quite difficult, even for experts. Cryptocurrencies have been known to perform in unexpected ways. But what I can do is share with you the Monero price prediction for 2019 and 2020, which will help you decide whether Monero is a good short-term or long-term investment. So, let’s jump right into our Monero price prediction. First, let’s take a look at what the future of Monero looks like this year. Technical Analysis: Using historical price trends, and trading volume trends, to predict the future of Monero. This task is performed by software which applies complex mathematical functions to the historical data. One website that performs cryptocurrency technical analysis is Walletinvestor.com. Which predicts the price of Monero to be around $638.73 in one year. It predicts a return of almost 184% if you were to buy Monero at $224 today. Check out the screenshot below to see what the future of Monero looks like, according to their technical analysis. Current and previous market trends. Profitconfdential’s Monero price prediction 2019 is $350 – $400. Remember when I told you that Monero had touched $494 in January 2018? Well, this price prediction seems to be within that range and little more realistic than the previous one. There is no doubt that Monero stands out from other cryptocurrencies because of the privacy it provides. Many experts believe that this one feature could take Monero to great heights. 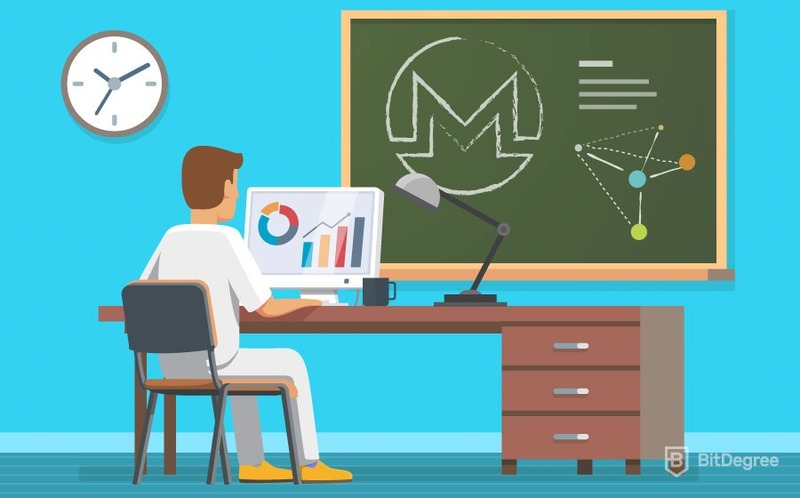 According to a Monero price prediction by oracletimes.com, Monero is going to be in top 3 performing cryptocurrencies in 2019, mainly because of the anonymity it provides. It further states that Monero could offer its investors up to 10X returns in 2019. Based on these Monero price predictions, 2019 looks like it could be a good year for Monero. Apart from the fact that it offers privacy, there are several other benefits to the Monero project. Which I will cover a little later in this article! Before that, it is important for you to understand the long-term predictions of Monero. So, I will now show you some of the top Monero price predictions 2020. Cryptocurrencies can increase or decrease by large percentages in the space of a day. This makes it difficult to predict long-term prices of any cryptocurrency, with Monero included. However, let’s get into some of the top Monero price predictions for 2020. Now that you know what technical analysis is, let’s take a look at the prediction made by longforecast.com. This is another website that provides very short-term to long-term price predictions for cryptocurrencies. According to longforecast.com, the price of Monero will be in the range of $554-$638 in April 2020 and go up to $810- $945 by December 2020. If we go by this prediction, then a $500 investment today could grow to $1944 by December 2020. John McAfee is one of the most well-known experts and influencers in the cryptocurrency market. His tweets and comments about a cryptocurrency can have a direct impact on its price. While John McAfee has not given an exact Monero price prediction, he has said that Monero has the potential to challenge Bitcoin as a leading cryptocurrency. He has been very vocal about his support for Monero in interviews and on Twitter. 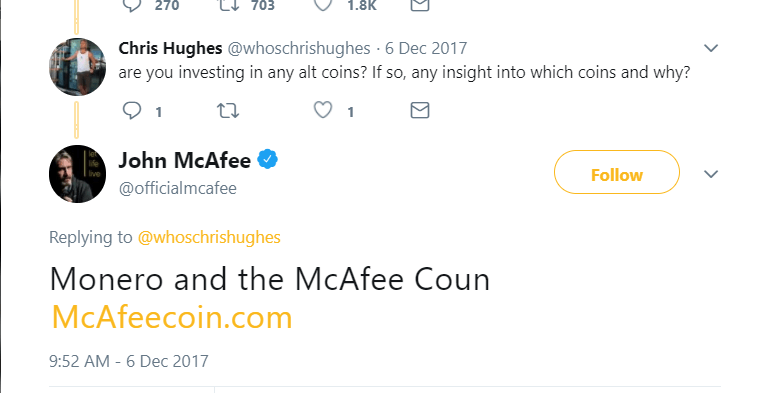 Like any other price prediction, this may or may not come true, but what it tells us is that expert’s like McAfee believe in the future of Monero. So, that’s what the Monero’s 2020 price prediction looks like. So, it might seem like a good investment, but there are many things that could impact its price in the future. After all, we have a long way to go until 2020. So, is Monero a Good Investment? Looking back at the past 2-3 years, the least I can say is that the cryptocurrency market has been quite unpredictable. Generally, the cryptocurrencies with the best technology and the strongest team are those that succeed the most. This has proven to be the case with coins such as Ethereum, Litecoin, and Ripple. Monero is private, which is increasing its demand in both legal and illegal transactions. While you and I may not agree about Monero being used in illegal trade, this factor is increasing the demand and the prices of Monero. Currently, there isn’t a hardware wallet that supports Monero coins. Hardware wallets are very important for any cryptocurrency as they are the safest way to store them. Both the Monero community and Ledger are working on a hardware wallet for Monero. Note: Ledger is one of the most reputed and popular hardware wallet companies for Bitcoin, Ethereum and many other cryptocurrencies. The technology of all cryptocurrencies is still in the early stages. Most of the cryptocurrencies that are around today are constantly being worked on and improved. And Monero is one of the cryptocurrencies that is doing exactly that! The Monero team is working on a project called “Kovri”, which is basically trying to improve the privacy aspect of Monero even further. They are also working on improving the scalability of Monero. There has been a flood of cryptocurrencies since 2017, but Monero has continued to survive (currently in 11th place!) in such a crowded market. This shows that it is a valued coin by a lot of investors, and it could stay this way. These are the key factors that will attract investors to Monero going forward. As the cryptocurrency market becomes more mature, people will want to invest in the coins that have proven themselves as top cryptocurrencies. Which Monero has done over the years. One thing is clear: An increase in the number of regulations will lead to a decrease in the prices of cryptocurrencies (some more than others). However, regulators might try to stop its usage in the illegal trade meaning that Monero could be affected more than others. If regulators decide to ban Monero, then it could not only lead to decreased price, but also to a complete crash. Yes, Monero is one of the oldest cryptocurrency when it comes providing privacy, but it is not alone anymore. It has a tough competition from other privacy-based coins like ZCash, Dash, Verge and PIVX. In fact, Dash is the 12th largest cryptocurrency by market cap, making it just one step behind Monero’s 11th position. An increasing number of options for privacy-based coins could divert the attention of investors away from Monero, and towards the newer options. These are two important things that you need to keep in mind before you invest in Monero. Even though I don’t feel think they will have any immediate impact on the price of Monero, you should bare them in mind. And always keep up to date with news related to cryptocurrency regulations. So, the future of Monero looks positive after we’ve compared the pros and cons. What do you think? Now you have a clear understanding of what Monero is and how it is different from other cryptocurrencies like Bitcoin. 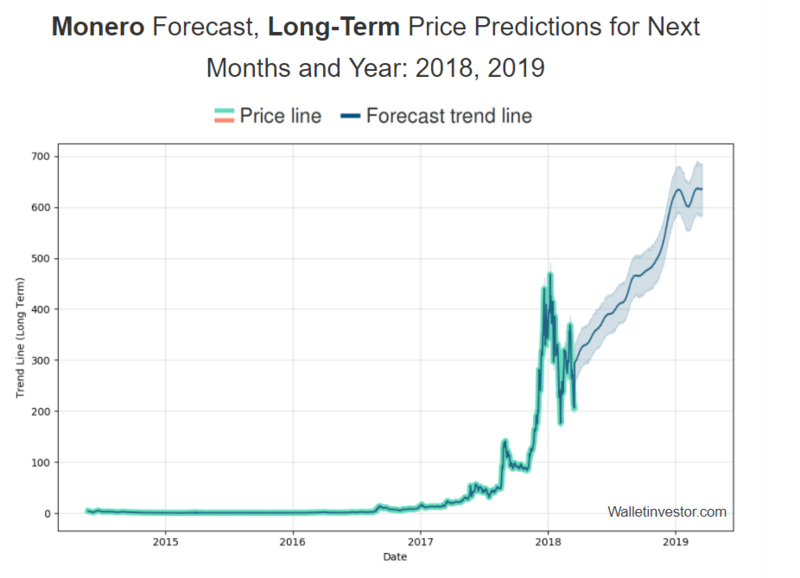 You also know the top Monero price prediction for 2019 and 2020. I think that by looking at the predictions and the benefits which favor Monero, the Monero future doesn’t look too bad! So, now that this guide is over, what do you think about Monero? Is it worth your investment? We’d love to hear your thoughts! Starting to mine in 3 2 1….